2. Create a group using your full name and EX1 e.g. Elliott Palmer EX1. 2. Do not provide an exit value. 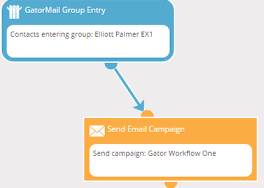 Note: We can use the exit value at a later date to be the entry point of another Workflow but It is optional, it is recommended only to do so if required.